Calling all kids and kids at heart! 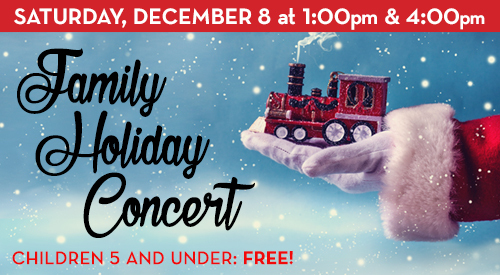 Our special family concert features sing-alongs, activities, and this year's enchanting holiday story The Polar Express by Chris Van Allsburg. And be sure to stay for the cookie buffet afterward! Enjoy a magical, musical start to the holiday season, and make this annual concert your new family tradition!